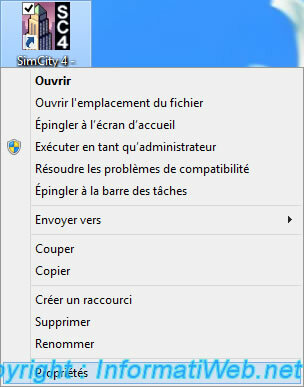 To start the game with the settings, you will inevitably create a shortcut to the "SimCity 4.exe" file. 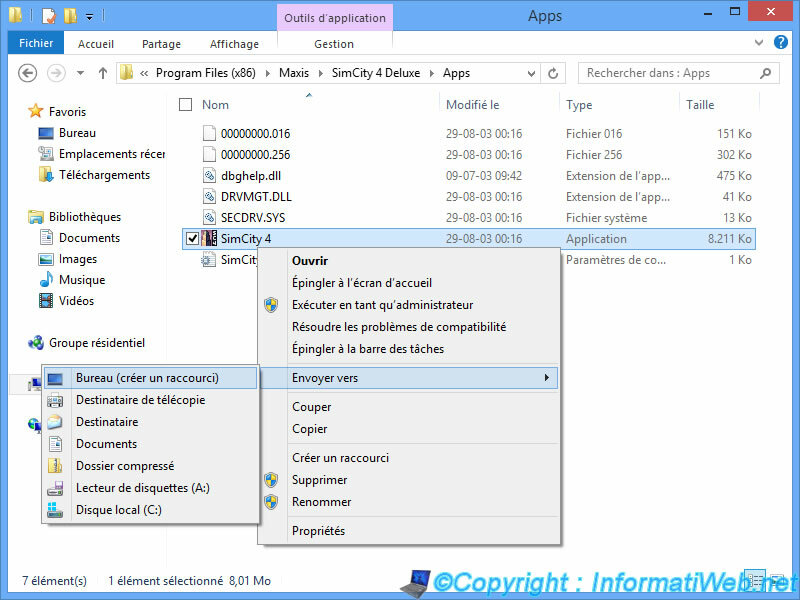 If you want to run this game in SimCity 4, it will be necessary that you follow our tutorial : SimCity 4 (Deluxe Edition) - Installation under Windows 8. To do this, go to the Apps folder located in the game folder. 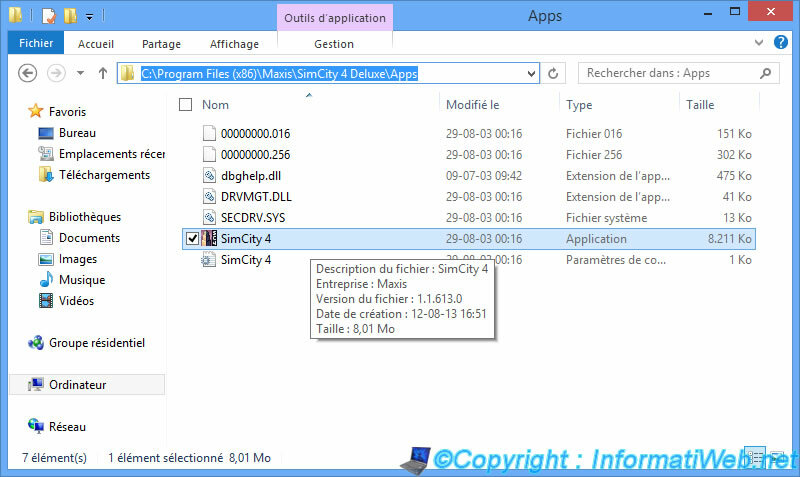 Right click on the "SymCity 4.exe" file and click "Send To -> Desktop (create shortcut)". Then right click -> Properties on the shortcut has been added to your desktop. In the first box (named : Target), you can add the parameters (leaving a space before each time). Start the game in a custom resolution (not proposed by default in the game). This parameter is for run the game with a 1680x1050 resolution and 32-bit color mode.